Investors | LTC Properties Inc.
Wendy Simpson, Chairman, President, and CEO of LTC Properties (NYSE: LTC), participated in a video interview at Nareit's REITworld: 2018 Annual Conference in San Francisco. 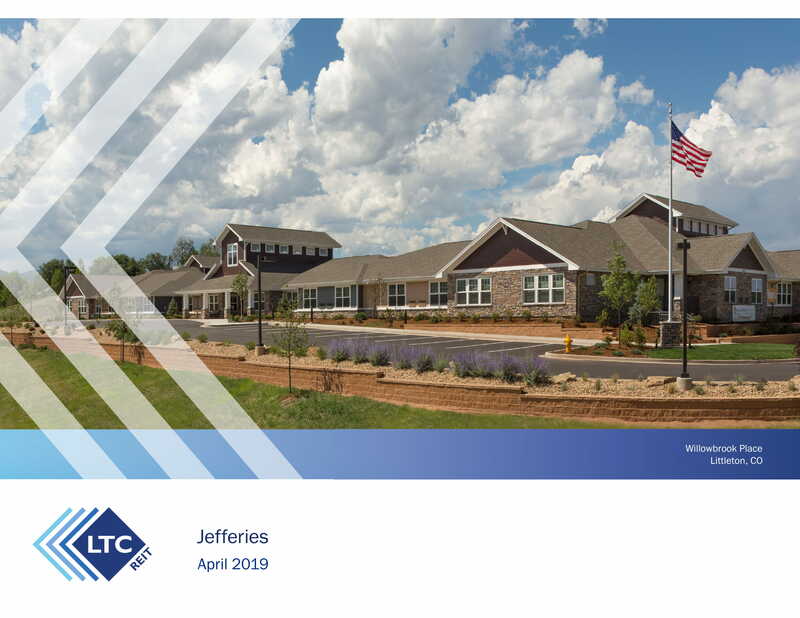 LTC Properties, Inc.is a self-administered real estate investment trust that invests primarily in seniors housing and health care properties through triple-net lease transactions, mortgage loans and other investments. LTC Properties operates in accordance with federal tax laws and regulation governing real estate investment trusts, which enables the company's income to be distributed to its stockholders without federal tax liability to the company.